So simple, so clever.... just place these slider pads under the item you want to move and feel how easy it is as the object glides across the floor. 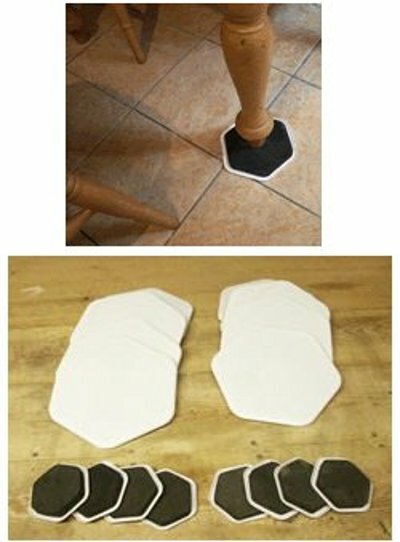 Moving heavy tables couldn't be easier, with one pad under each leg, it will slide across many surfaces. Each 16 piece set comprises 8 large and 8 small pads to help make light work of an every day task. Furniture And Chair Leg Covers. Furniture Sliders text, images and video are copyright.